Help with Colors - Request a FREE color sample! Below is a swatch of the current single color vinyl we offer. We can print any color you require via our Print & Cut service, please contact us for more details. 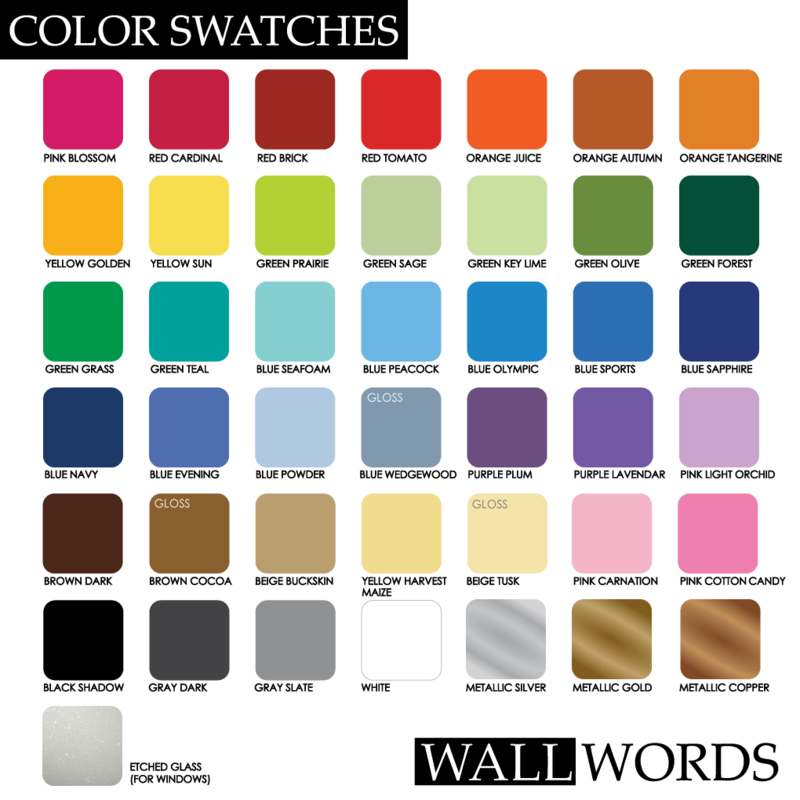 REQUEST A FREE COLOR SAMPLE HERE!